Product prices and availability are accurate as of 2019-04-09 04:55:34 UTC and are subject to change. Any price and availability information displayed on http://www.amazon.com/ at the time of purchase will apply to the purchase of this product. Color: Different monitors display colors differently, the color of the wig will also display differently due to the light setting. The color of the wig looks lighter under brighter light, and vice versa. Please feel free to ask us the color before placing bid or making purchase. Approx. 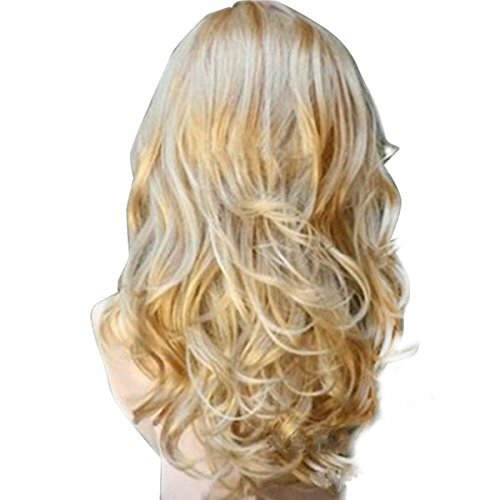 Length: The length on a hairpiece will appear differently from person to person. Depending on the person's head, face size, face shape, and neck measurements the length can appear longer or shorter. Approx. bang Length: The length of bangs will appear differently from person to person. Depending on the person's forehead size, face size, and face shape the length can appear longer or shorter. 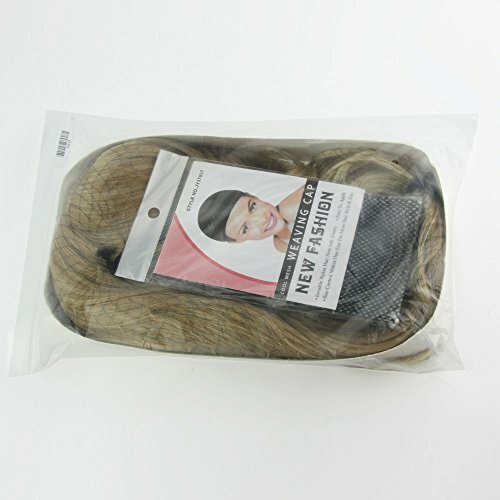 All of our wigs with elastic cap which fit average adults' head sizes. 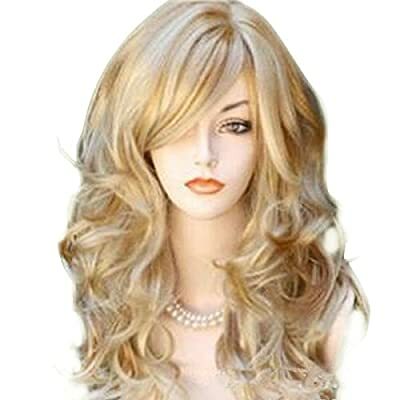 Hot long wig with fashion curls and long bangs. Made from 100% High quality synthetic Fiber. Brand new, and never been worn. You can cut or trim the wig into any style you like. You can also use styling products to achieve vibrant texture or use your curling iron or flat iron to achieve a different look! Hair is sewn on an adjustable light-netting elastic cap, which should fit an average size head. (Male or Female). All you should need to do is adjust the hooks inside the cap to the correct size to suit your head. No Pins or Tape should be required. It is very hot, fashion and beautiful.